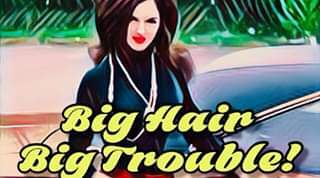 BIG HAIR BIG TROUBLE (9:30-11pm) THE NEW ZEITGEIST (8-9:15pm) Wednesday April 17 No Cover / 21+ / free street parking BIG HAIR BIG TROUBLE Ary Jeebie & CAUDOG artist Ellis Clark - bringing you 60's & 70's Groovy Country Weirdness. Originals & Obscure Covers From Lee Hazlewood, Nancy Sinatra, Doug Sahm and more. THE NEW ZEITGEIST https://www.facebook.com/TheNewZeitgeist/ https://itunes.apple.com/us/album/myths-and-mortals/1233763219?app=music&ign-mpt=uo%3D4 Country gospel roots and southern swing deeply welcome black leather grit in new intertwining medley. Jen Reilly and Eddy Bluma collaborate with tempting harmonies and lonesome spirituals, which “harbor the spirits that dwell in the hidden hollows of Appalachia.” Exploring the origins of the oral folk tradition that touches outlaw and rock ballads, the duo sings suspenseful and captivating stories of fairies, earth, and work that call into our current socio-political times. Far-reaching, yet familiar; The New Zeitgeist calls from the deep to weary, worn trails of spirits lingering.